I am not a baker! But I do like to make sweet treats for the Christmas season. I was so excited when I realized I had all the ingredients on hand to mkae No Bake Chocolate Peppermint Cookies. 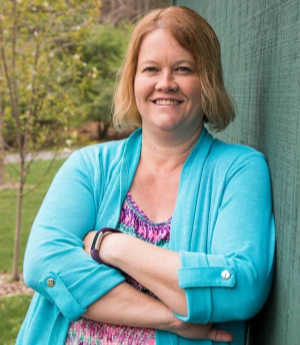 Last month I signed up as a consultant with the doTerra Essential Oil Company. 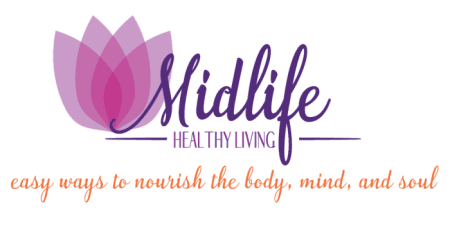 I was so impressed by the way oils can support your health and wellness, I knew it was a perfect fit to incorporate into Midlife Healthy Living. Stay tuned for more essential oil information soon! Back to those No Bake Chocolate Peppermint Cookies. 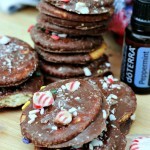 The reason I mentioned essential oils, was I used the doTerra Peppermint Oil to make these cookies. 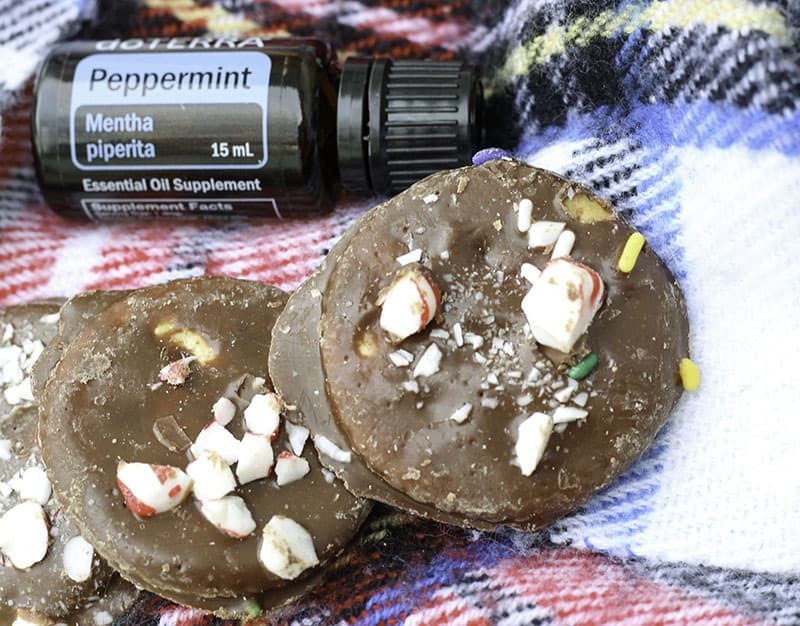 Peppermint is one of the most popular oils sold through doTerra. It’s something everyone should have in their home. Peppermint oil can be used aromatically, internally and topically. It can be used for upset stomach, bad breath, cooking and a natural bug repellent. Okay enough health talk for now. 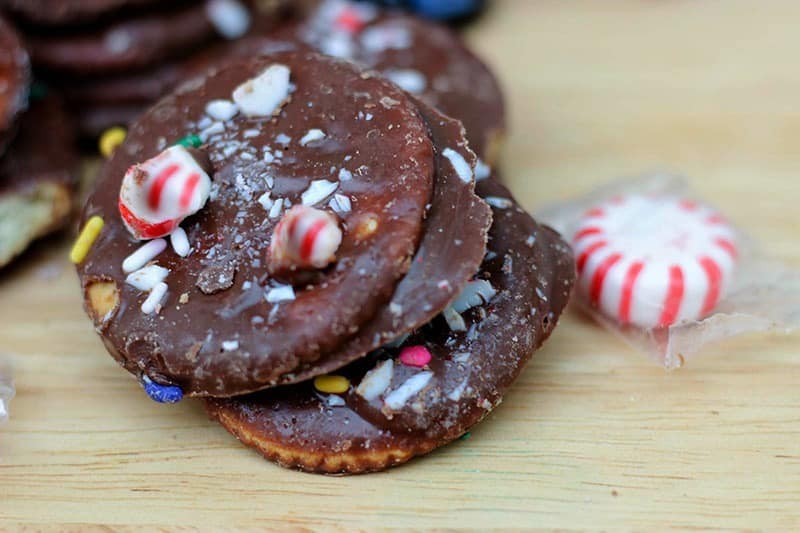 Let’s talk a bit about these not-so healthy Chocolate Peppermint Cookies Recipe. Although I strive to make as many healthy lifestyle choices as possible I do, eat the occasional sweet treats. 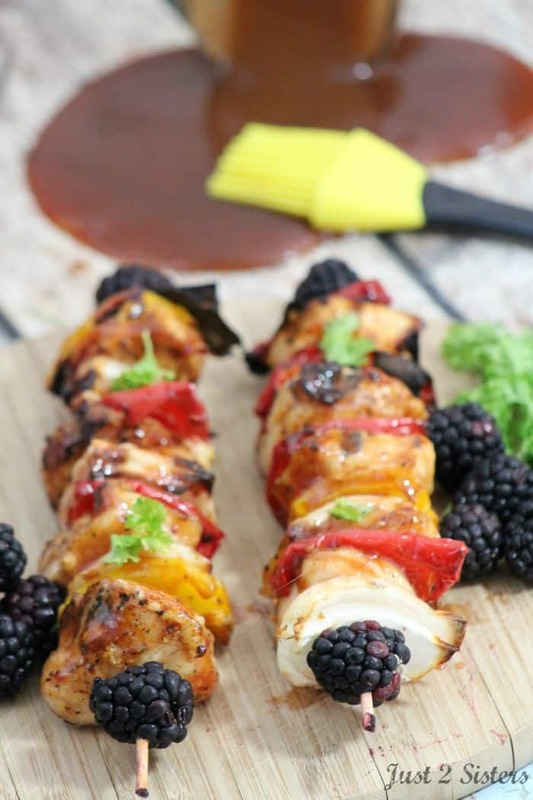 So you will definitely find me posting a few “indulgences” recipes. I am a big proponent for eating what you like, in moderation. I don’t promote cutting out any foods or food groups. All food can nourish your body in one way or another. Add the chocolate, shortening and peppermint oil to a crock pot. in your chocolate. This will ruin the melting process. 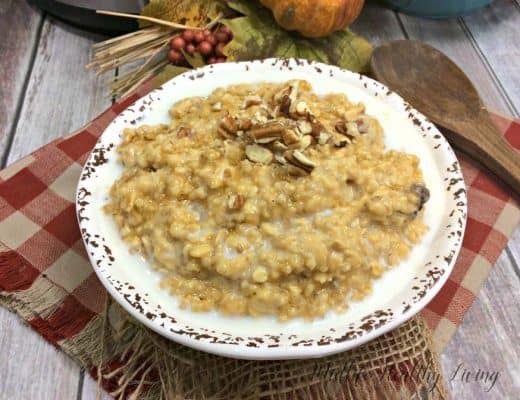 The melting time will vary due to slow cooker settings. Mine took approx. two hours..
for dipping, add additional shortening 1/2 teaspoon at a time until desired consistency is reached. When chocolate is ready, dip your crackers, until coated on all sides. I use a fork and a rubber spatula to coat on tops and bottoms. Place cookies on parchment paper. If you put them on a plate, they will stick. Parchment paper is a must! Immediately sprinkle with decorations if desired. Let Chocolate Peppermint Cookies harden. Eat and enjoy! Mine were hard and ready to eat after 10 minutes. These cookies taste like another mint cookie sold by the Girl Scouts. It’s so close, that I have to be cautious. 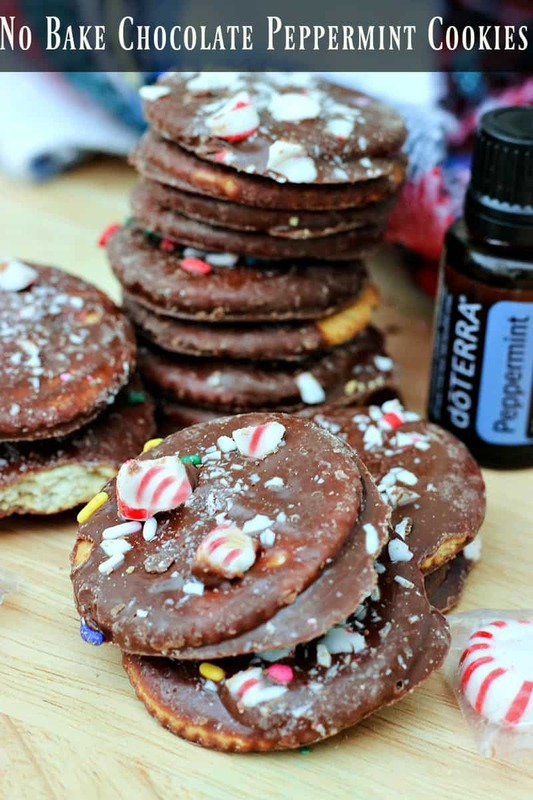 Thin Mints are my favorite cookie and this Chocolate Peppermint Cookies Recipe has me hooked. These cookies look festive and delicious. I don’t have a crock pot and promised myself not to keep buying more kitchen appliances. Can the melting of the chocolate be done over a double boiler? Or in a microwave oven? Hi Nancy. You can certianly melt the chocolate any way you like. I use the crock pot because it lessens the chance I will burn my chocolate. Thanks for stopping by.